There are certain venues that you can easily dine at time-and-time again. 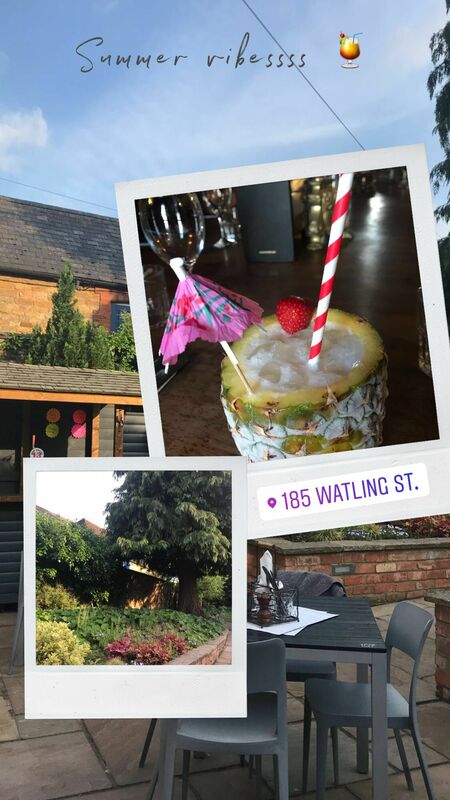 185 Watling Street in Towcester is a place that locals will choose to visit for their morning breakfast and happily visit later in the evening for a cocktail. 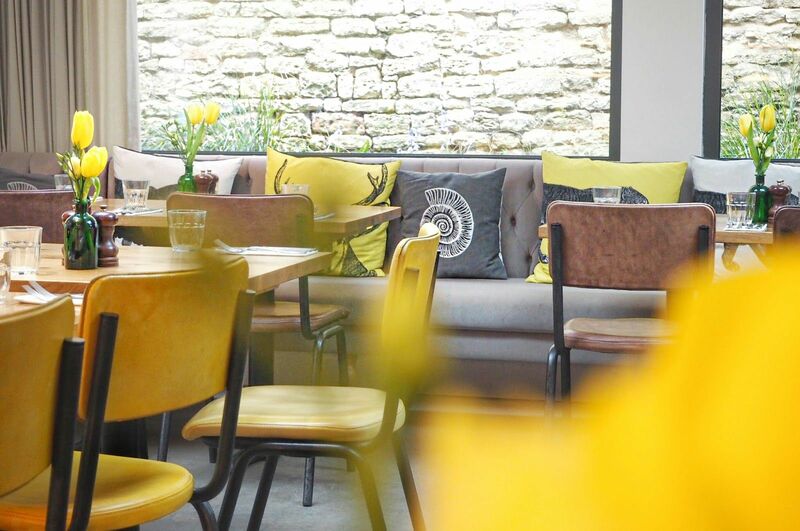 It’s a venue that appeals to me on every level as it provides the rustic charm you would expect from an affluent market town such as Towcester, yet has a modern vibe at the same time. The building is very understated externally, bar the very British welcome of Union Jack flags. 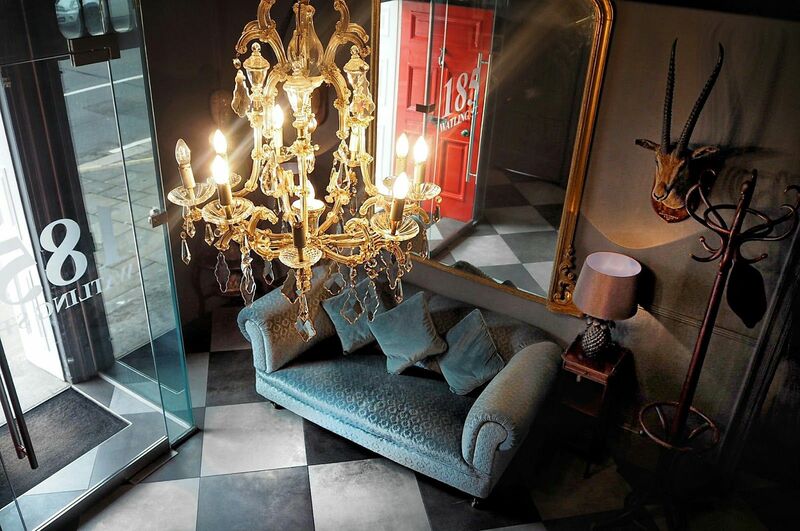 In comparison, the grand entrance is complete with a big chandelier and classic black and white flooring, which really does give a wow moment on entering. The former Georgian townhouse has various rooms to explore, which I eyed excitedly with as much enthusiasm as a child exploring a grand old house. I observed the taxidermy, various paintings and trinkets with wonder; it’s easy to imagine yourself tucked away in the countryside. As you walk into the uber-modern dining room you could be forgiven for thinking you are in a different venue altogether. 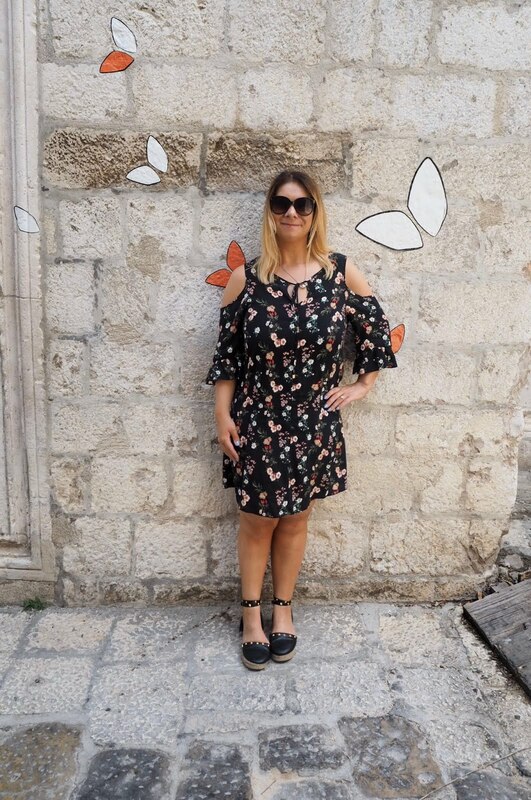 On the evening of the taster event, it was a very humid summer evening; one that we Brits could get accustomed to if the good weather lasted any longer than a few measly days. 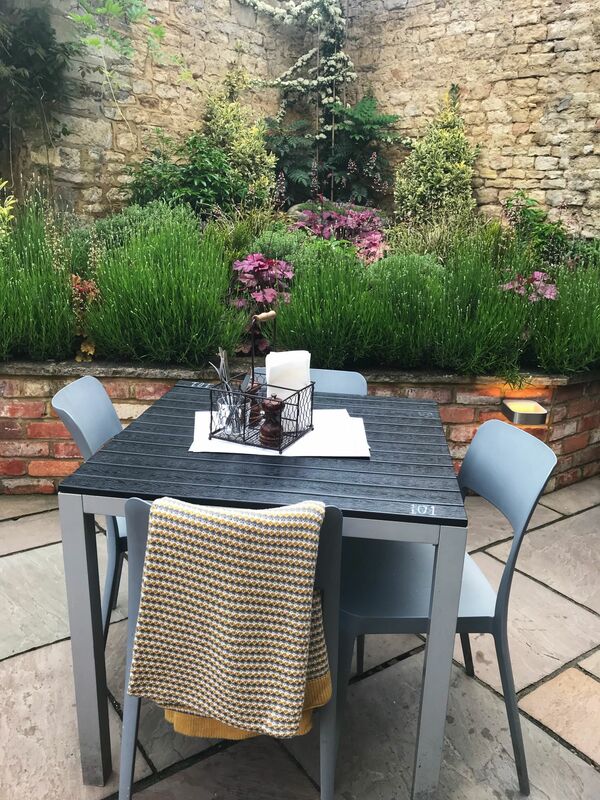 With that being said, my friend Amy and I were keen to explore the long garden at 185 Watling St.
Little did we know, there is an outside bar and cosy blankets on the chairs for colder evenings. The garden not only provides the venue with outdoor space to hold their Midsummer Music Festival and upcoming Wimbledon family-friendly tennis event (all over the champers and strawberries), it’s also a place where they grow various herbs and spices to be used in the kitchen. The mint, basil, parsley, and chilli are all grown and sourced from their garden, with other herbs sourced from a micro herb company in Northamptonshire. 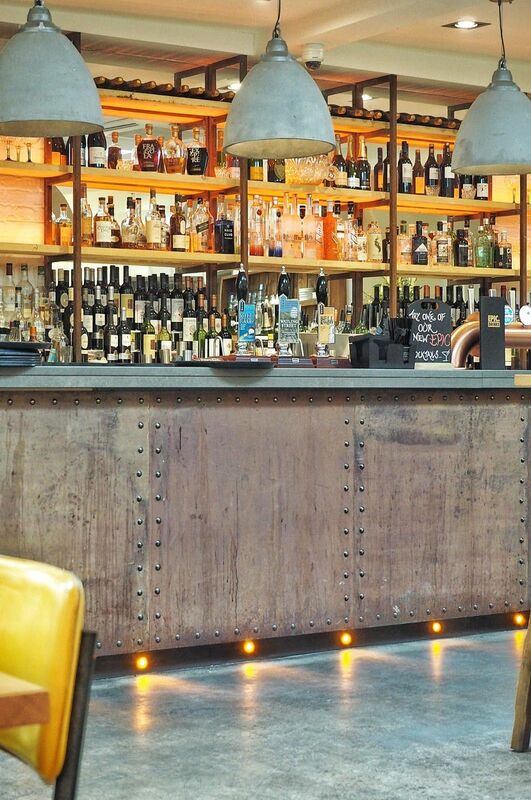 I love the fact they utilise this space to grow their own produce, one of many examples of how Epic Pubs sets themselves apart from other pub chains. 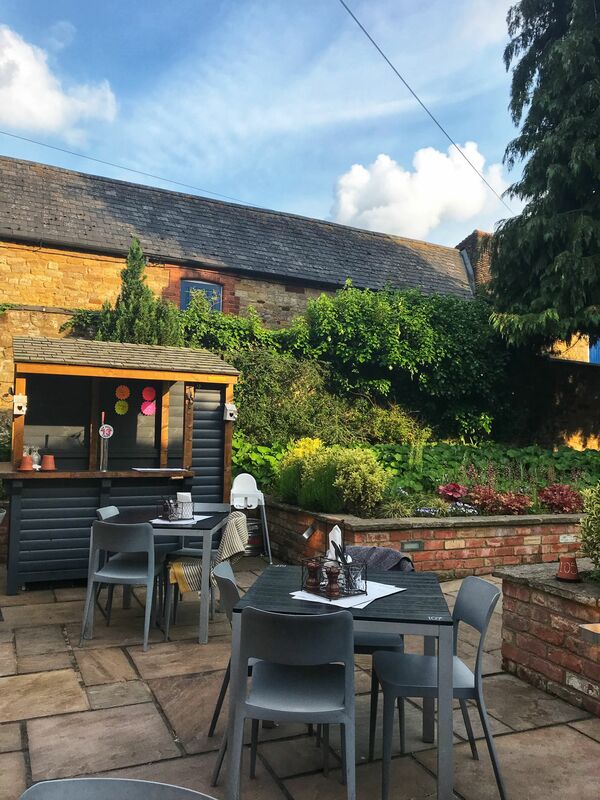 Before Amy and I found ourselves a sunspot in the pub garden, it was time to venture upstairs to explore the older rooms of the building and check out the new summer menu. 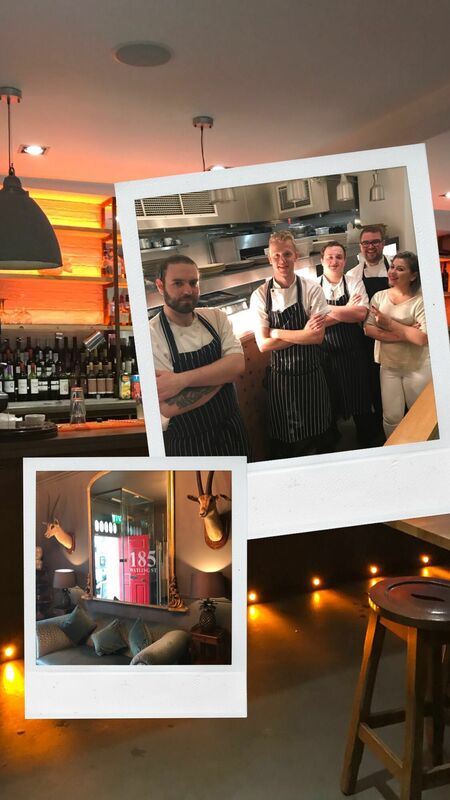 We were joined by some of the other MK bloggers Lou (Loubou), Jo (Girl Eats World) Sophie (Sophie’s Suitcase) and regular diners at 185 Watling St. 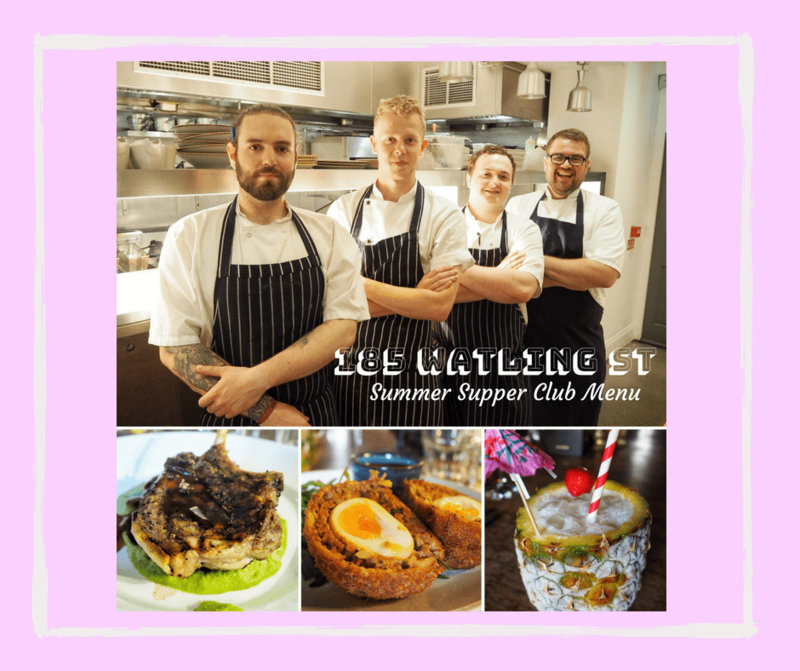 It gave me ample opportunity to catch up with Lou, Jo & Sophie as well as chat to the locals, who I was pleased to see had their chance to have an input to share which dishes they like or dislike on the new menu. It’s a nice touch, which provides the pub with vital feedback to curate a menu that their regulars will enjoy time-and-time again. This time around I was fully prepared for the social table, which I surprisingly enjoyed after initial reservations last year. Just as I had overcome my awkwardness of social dining, our drinks orders arrived. 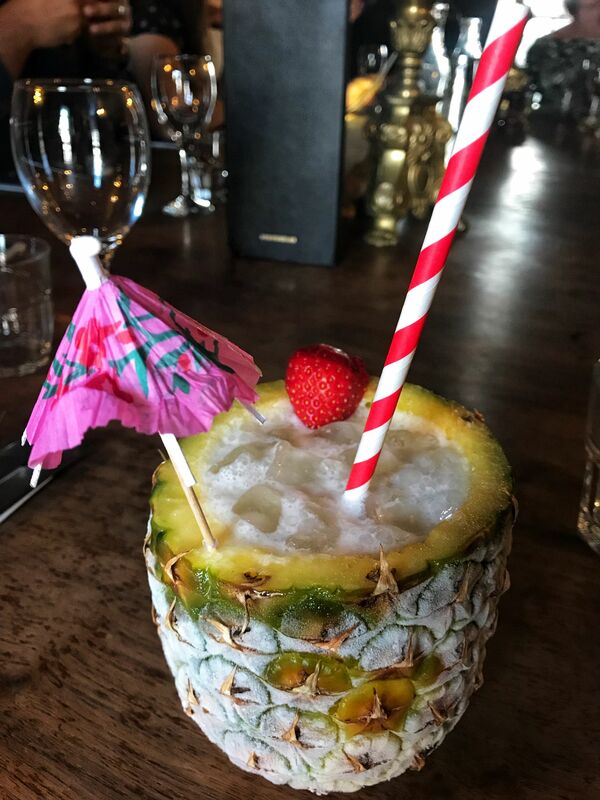 Almost everyone in the room had ordered a respectable glass of prosecco, whereas I, (tempted by the cocktail menu I mentioned earlier) opted for a pina colada served in an understated pineapple! As the saying goes “there’s always one”, all eyes were most certainly on me! After getting over my initial embarrassment, I can say the pina colada was very nice indeed! 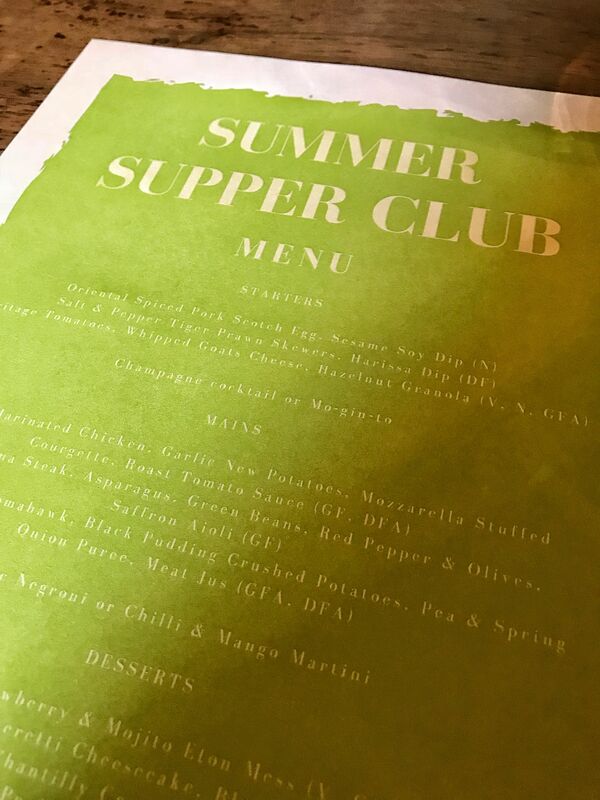 We could choose our own dishes from the summer sampler menu. 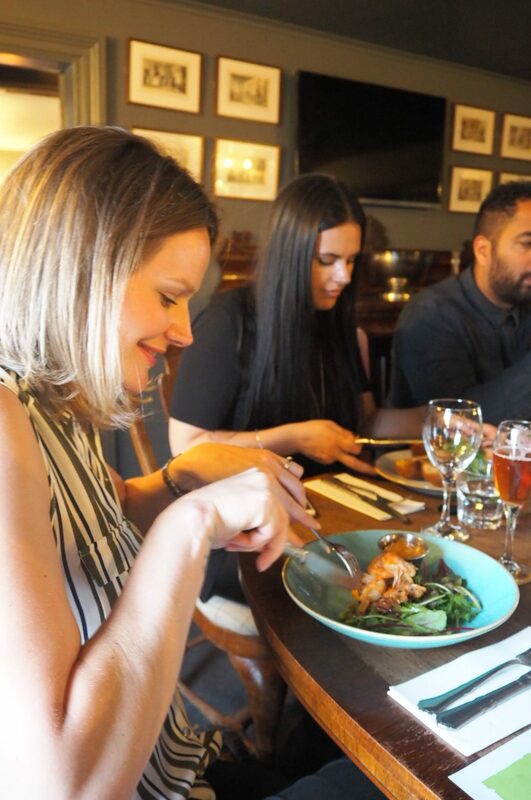 As soon as I saw the scotch egg starter I knew it was for me and, when Amy chose the prawns I was instantly relieved I’d invited her along instead of bringing Adam (sorry Adam if you’re reading.) As a blogger, the requirement to sample and photograph various dishes cannot be underestimated, but when dining with Adam he would always go for the scotch egg…this scotch egg was MINE! Head Chef Martin proudly told us that this scotch egg had 7, not 5, the usual number of spices to flavour a scotch egg. In this instant, I knew I was in for a treat! Served with a sesame soy dip, this scotch egg has an oriental twist. Crispy on the outside and runny in the middle, the scotch egg was all that I’d hoped for and I wasn’t the only one… *spoiler alert – the scotch egg proved to be the big hit of the night, with all the diners at our table giving it the thumbs up* Well done Martin! 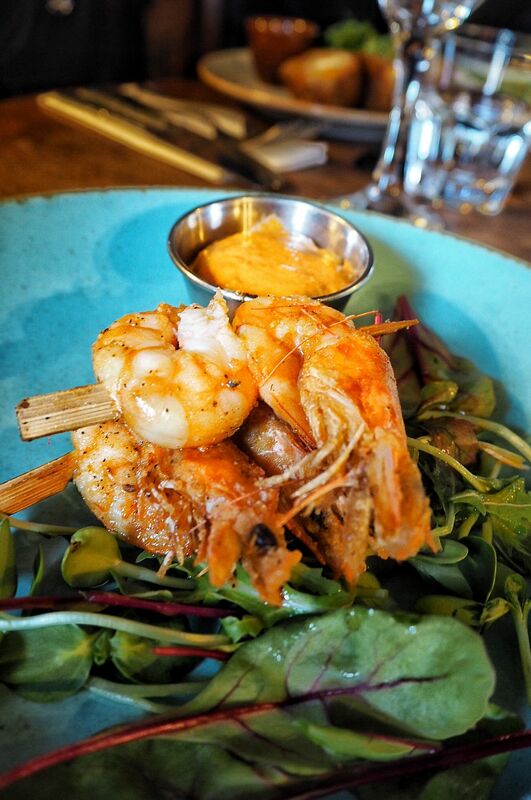 If I’d hadn’t opted for the scotch egg, I would have chosen the salt & pepper tiger prawn skewers, which were served with a harissa dip. Luckily for me, I got to swap a forkful to sample Amy’s. We both loved the harissa dip (I’m not sure I’ve tried it before), it has an aromatic and slightly spicy taste, very similar to satay sauce. Definitely a dip I will choose again! Accompanying our starters were very alcoholic champagne cocktails. I’m sure the cocktail was laced with something along the lines of brandy as it sure had a kick! The warming and perhaps slightly spiced cocktail reminded me of Christmas! 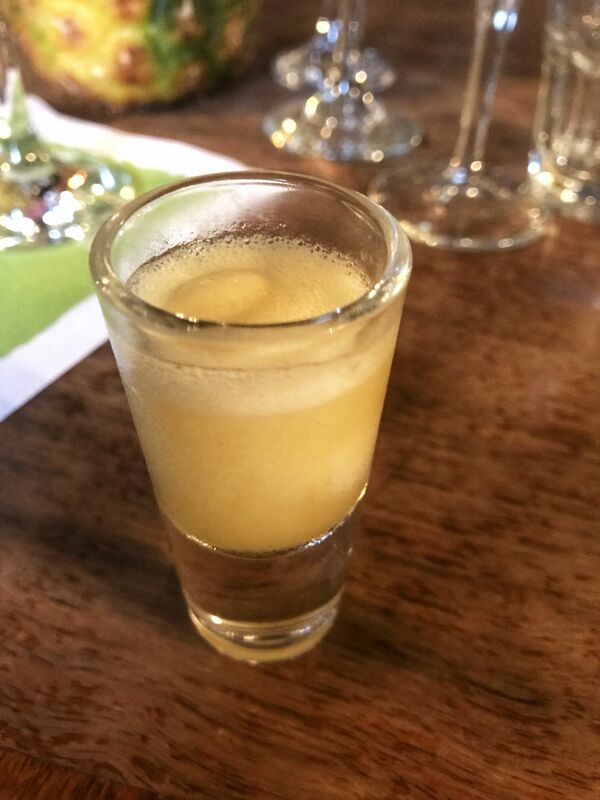 This was also at the point where we were all given a pineapple sorbet appetiser; a light and refreshing end to our starters and great palate cleanser. 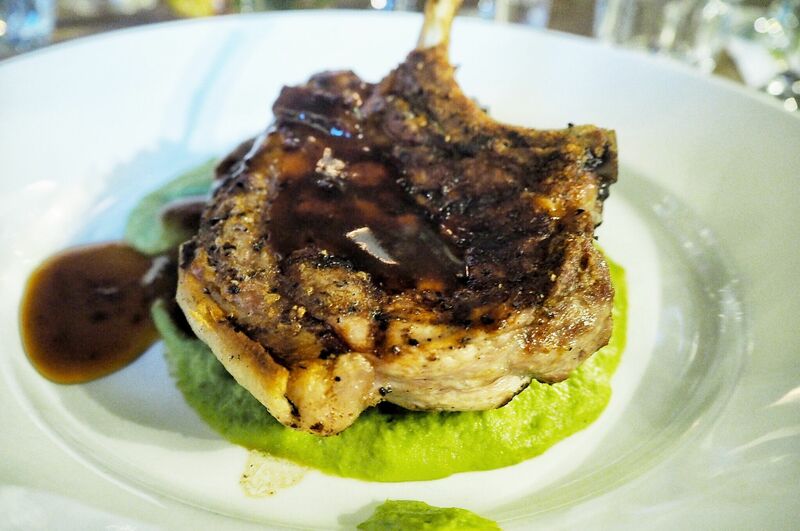 For main, I chose the grilled pork tomahawk, black pudding crushed potatoes, pea & spring onion purée with meat jus. 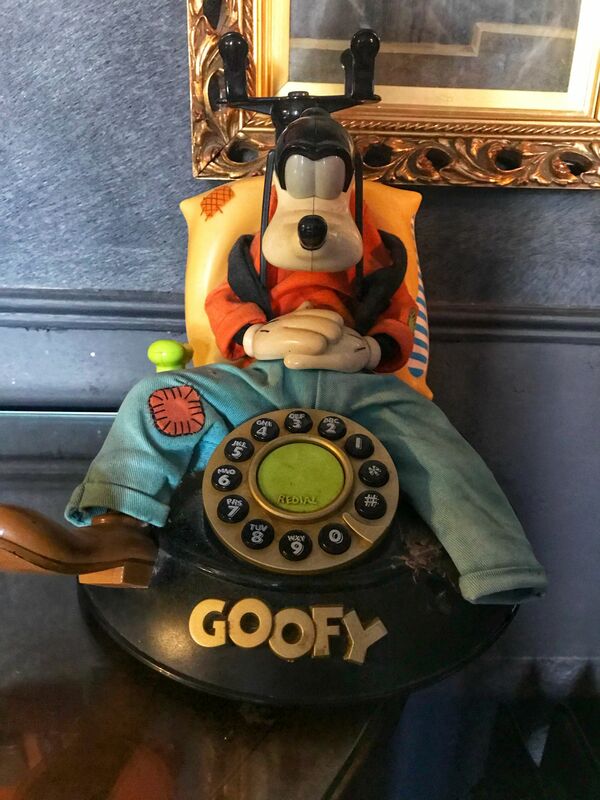 Another dish that would have been on Adam’s radar (noticing a theme here!) As someone who can’t resist the urge to have gravy and mint sauce on a lamb dish, I really loved the pea and onion purée as it really gave the dish a summer twist. 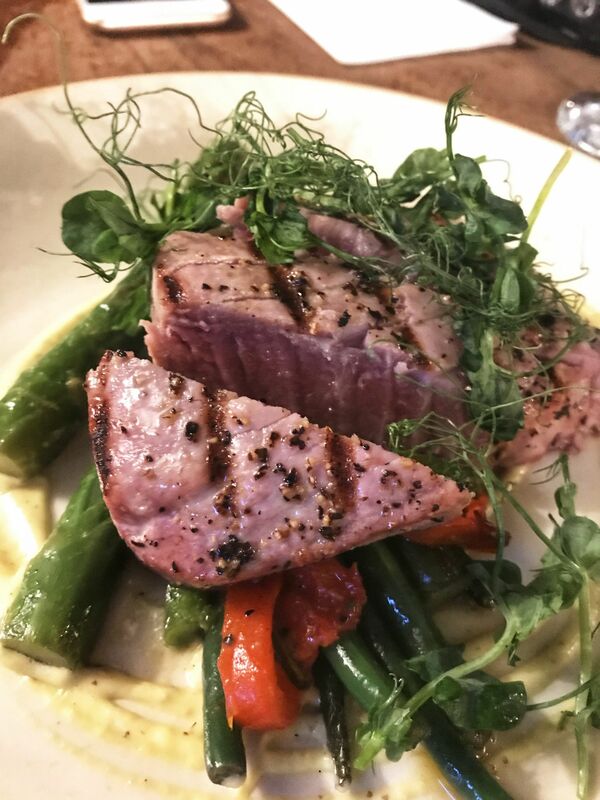 Amy chose the seared tuna steak, asparagus, green beans, red peppers, olives and saffron aioli. For me (after tasting Amy’s dish), the tuna steak was the biggest surprise as it was unlike other tuna steaks I’ve eaten previously and cooked to absolute perfection. I have to admit, despite being a big fish lover, I can take or leave tuna steak. I don’t think it’s the meatiness to tuna that makes me uncertain whether I like it or not as I’ve previously enjoyed meaty swordfish dishes. Amy and I agreed that this was the best tuna steak we have tasted, enjoying both the fresh and tender taste of the tuna which was grilled to give a Summer bbq vibe. Many of the other diners were in agreement about the tastiness of the tuna and enjoyed the aioli kick. Although, other diners commented they would enjoy a carb side dish to accompany the tuna. 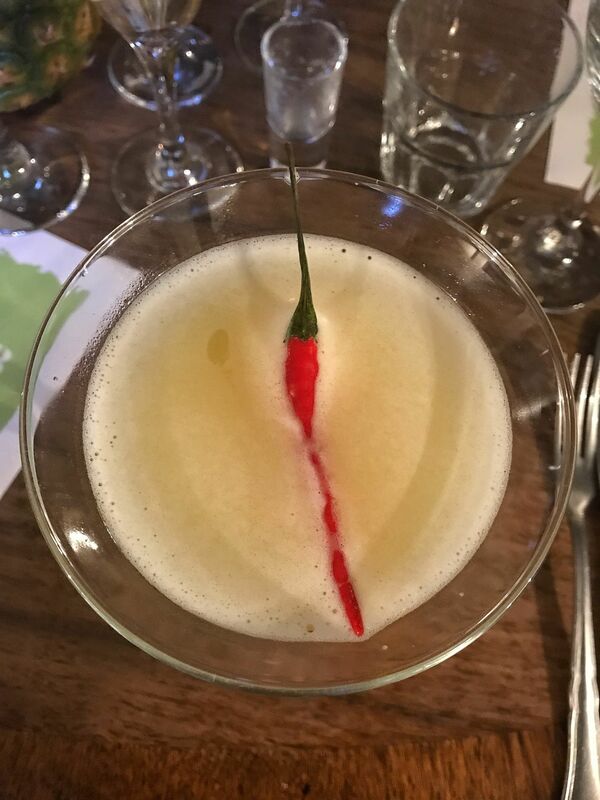 A chilli mango martini with a whole chilli resting in the cocktail glass was served with our mains. 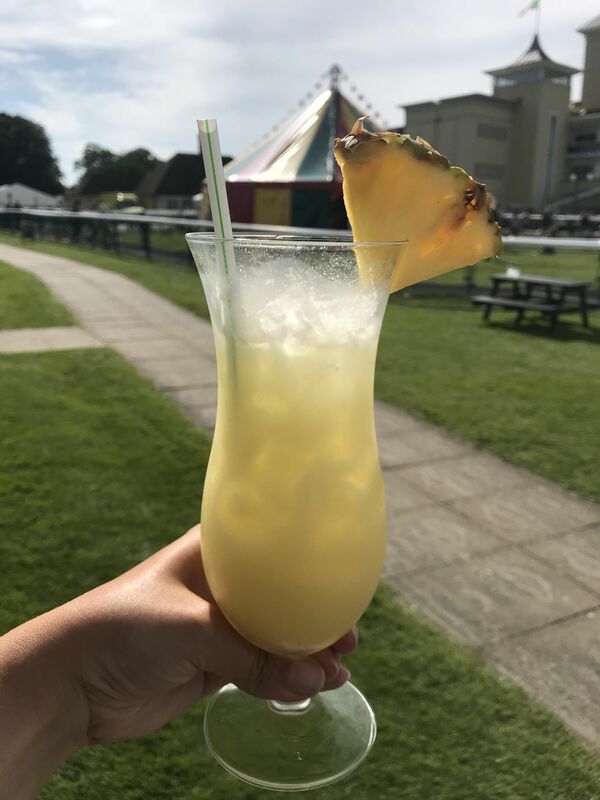 The mango and chilli surprisingly worked really well together, providing the perfect summer cocktail…with a kick, of course! This cocktail initially had chilli flakes around the rim of the glass before the team decided it was too hot! 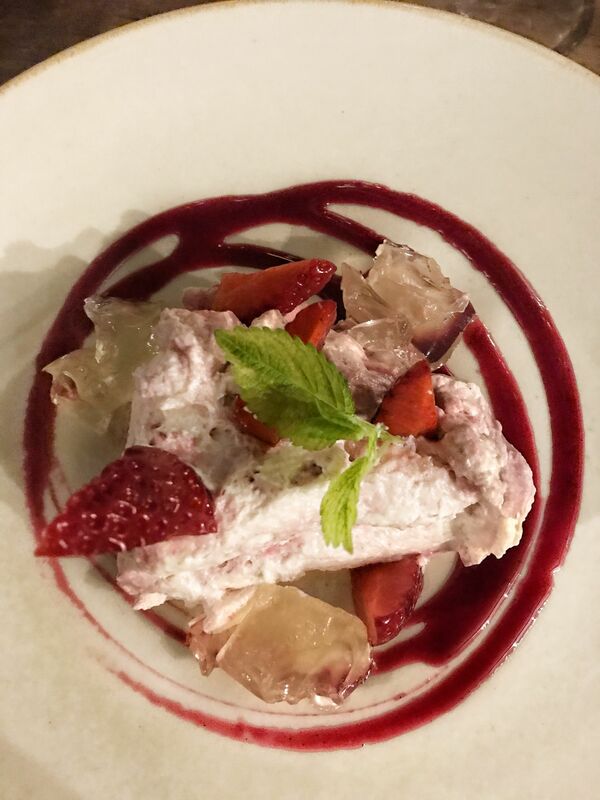 Of all the dishes I chose on the summer menu, none came easier to decide than my beloved eton mess, my favourite summer pudding. Amy couldn’t resist the eton mess either. Similarly to all the other dishes on the menu, the eton mess also came with a twist. Yep, it was an alcoholic one..! The eton mess was served with a mojito jelly. I loved the sharp, sour contrast to the otherwise sweet pudding. Amy was not a fan of the mojito addition but was overruled by the other diners. Just as I thought I’d got more than I bargained for with the eton mess, we were given our dessert cocktail. Mine…espresso martini. 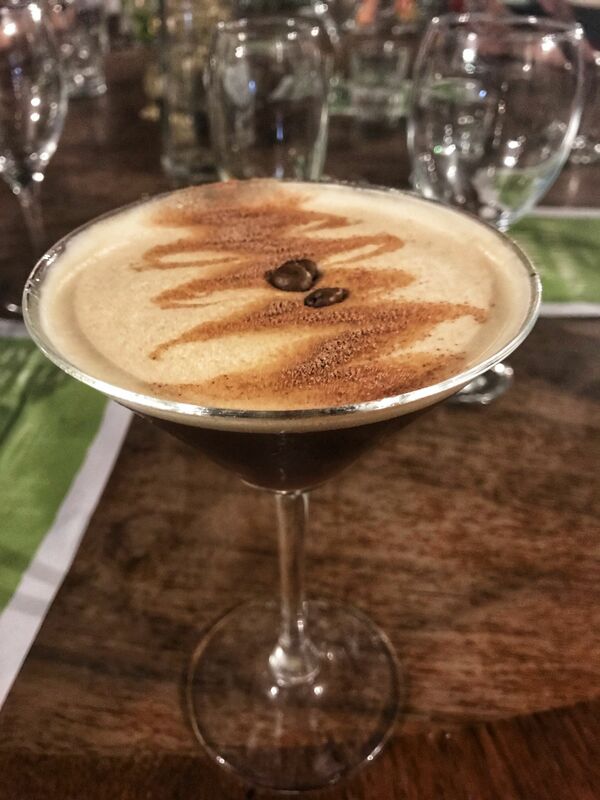 The rich and rather decadent espresso martini would make a fine dessert on its own! 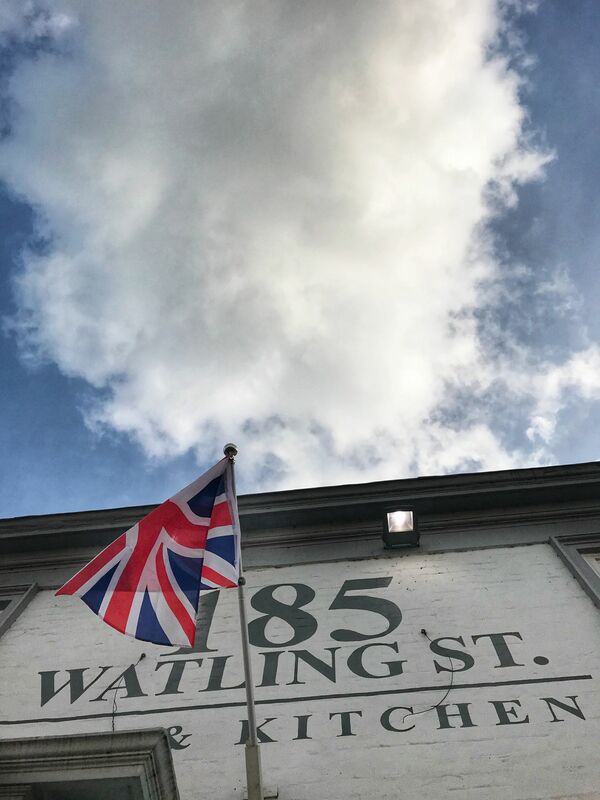 The folks at 185 Watling Street sure know how to keep the alcohol flowing! 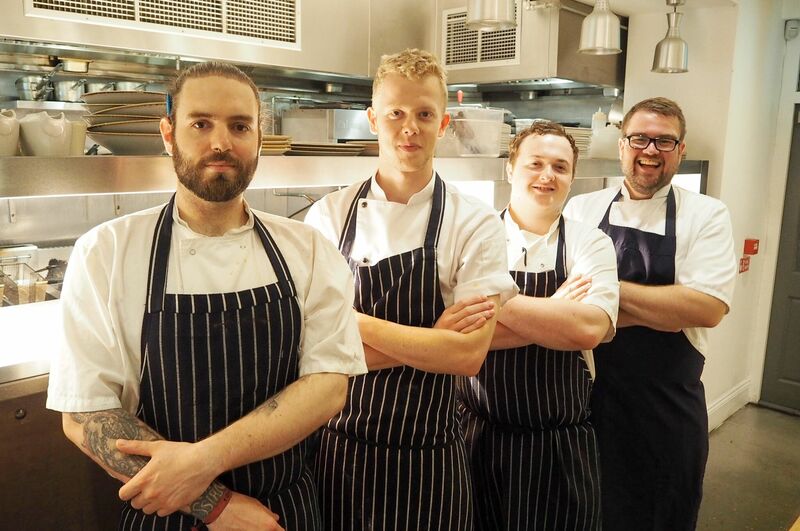 In fact, General Manager Alexa, Head Chef Martin, and the team were on hand all evening, enthusiastically talking about the dishes, the history of the venue and gauging our genuine feedback on the dishes. Great hospitality guys! What I love most about the Epic Pubs Group is that they are not afraid to be different. 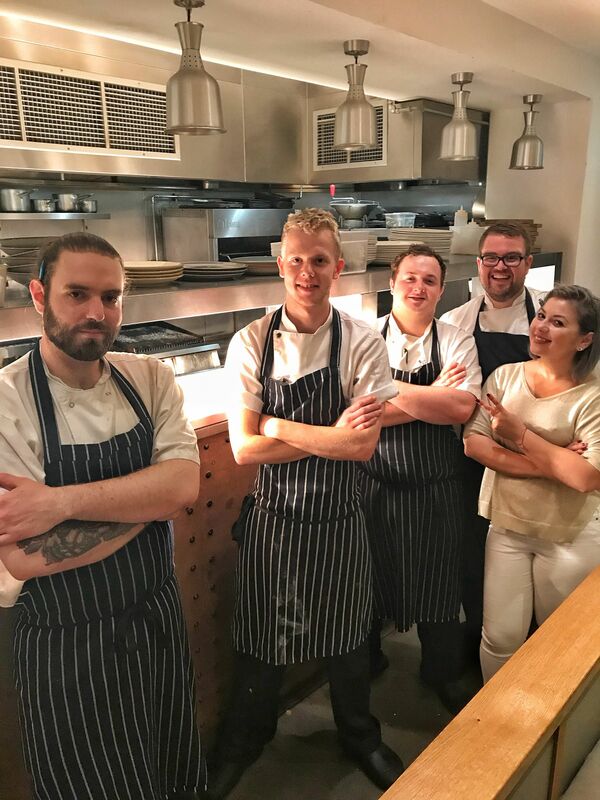 By giving their chefs the creative freedom to curate menus and dishes themselves, in turn, ignites their passion for cooking and provides a unique dining experience. 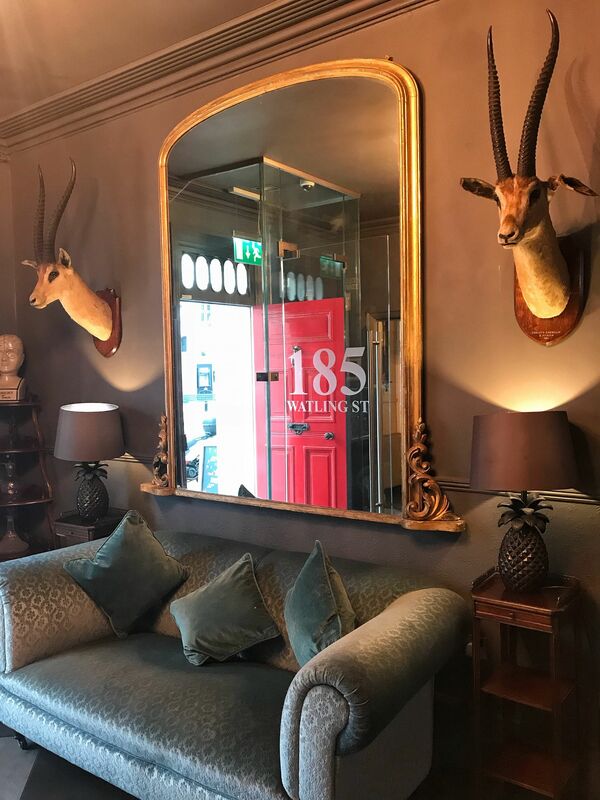 185 Watling Street is the perfect example of how a pub/restaurant can immerse itself effortlessly into the town it inhabits, providing a service and venue that exceeds customer needs and feels like home. 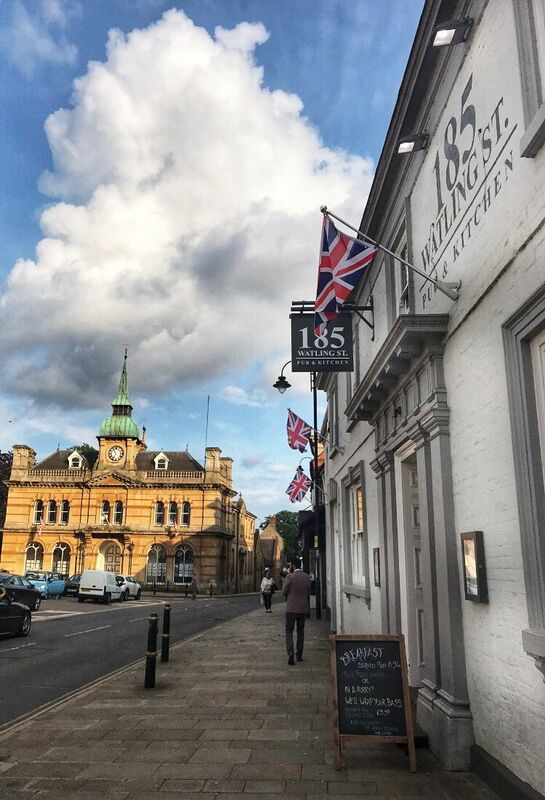 Wimbledon Family-Friendly Tennis Tournament – Go head to head with the 185 Watling St gang or watch on with some champers and strawberries during Wimbledon. 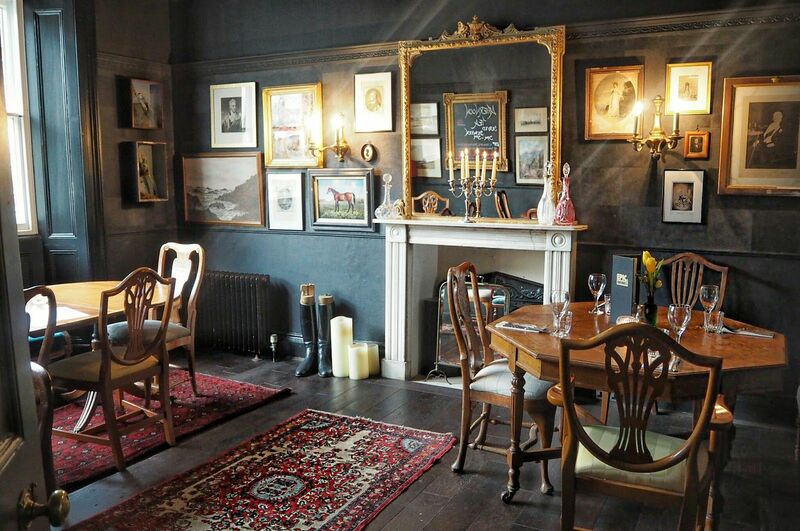 Omg I absolutely love the interior of this restaurant and the food looks delicious! That cocktail looks so refreshing. I will definitely put this on my list of restos to visit while travelling! Ooh, this looks like such a delicious meal – yum! 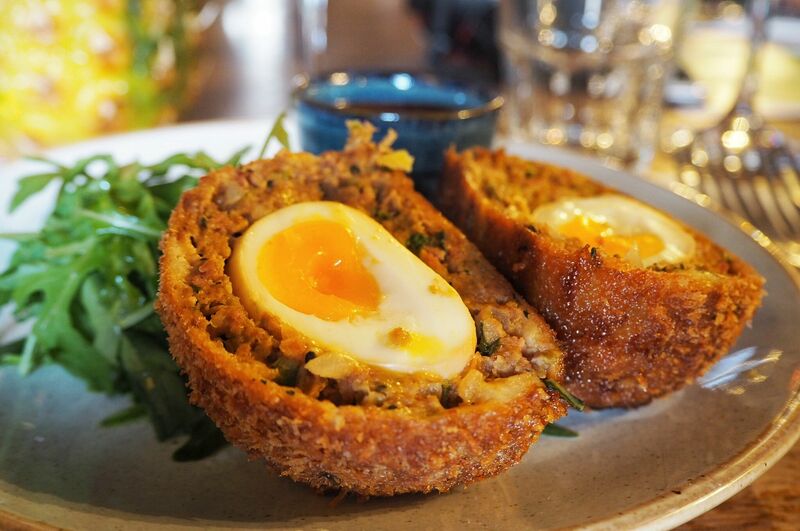 I CANNOT get over how tasty that scotch egg looks, oh my gosh. One thing’s for sure, it puts my dinner of a bowl of Cheerios to shame haha 😉 Hope you’re having a lovely week so far babe! What an amazing place! So delicious and the interior is so inviting!